You don’t need to be an adult performer to have an amazing stage presence. Ten-year-old Ranel Bogdanov (Ранэль Богданов) is the living proof that one can be a striking front man at any age. 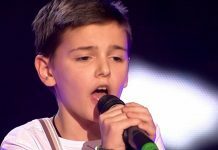 Born in the capital and largest city of the Republic of Tatarstan in Russia, Kazan, Ranel took part in the second season of the reality television singing competition The Voice Kids (Голос. Дети). During the blind audition, he blew away the jury with an emotive cover of Dima Bilan‘s song – I Am a Night Hooligan. Dima Bilan was one of the jury members and could not hide his excitement. But who won’t be excited with such a bundle of energy who has a great voice and wicked dancing skills (doesn’t come as a surprise knowing that Ranel is fond of breakdancing)!! 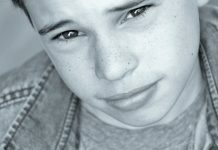 Prior to appearing on The Voice Kids: Russia program, Ranel competed in and won numerous youth talent competitions, both in Russia and in International contests. He was consequently signed by the Ecole Productions label despite being younger than most of the other youth talents managed by them (mostly teenagers aged 13 till 18). 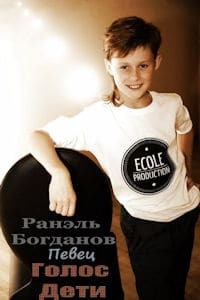 On 14-Sep-2015, Ecole released Ranel’s first professional video clip – Сердце земли (The Heart of the Earth). The young vocalist’s hair style, and the decision to shoot the clip in black and white, give an almost 80s feel to the clip. 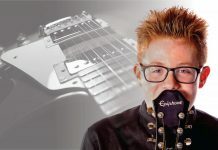 Once again the young artist delivers a striking performance filled with energy and bravado while demonstrating impressive vocal range and control. Currently, Ranel’s schedule is filled with interviews and concerts, the biggest of which has been organized by the Super Kids Project (Super дети ) and will happen on 13-Dec-2015 at one of the biggest open squares in Europe in the Russian capital of Moscow. Unfortunately, as is often the case with Russian performers, not much information about him is available in English. Yet, if you enjoy Ranel’s music, you can follow his career at his official VK fan site.